So, Kate, how can I win stuff? Why, I’m glad you asked! It’s pretty easy to get in on some of these sweet giveaways. One random New Twitter follower of @KPtwitrnovel will win a free ebook. Those who like Don’t Judge a Book By Its Magic and/or Kate Policani on Facebook between Oct 26th and Oct 28th will be entered for a chance to win one of 3 free ebooks. 1 entry for each page liked! One random re-post of any of my posts about the Release Party on Facebook will win a free ebook. One person who “likes” Don’t Judge a Book By Its Magic on Amazon will win a free ebook. One person who clicks “This was Helpful” on a review of Don’t Judge a Book By Its Magic on Amazon will win a free ebook. One person who “adds” Don’t Judge a Book By Its Magic on Goodreads will win a free ebook. 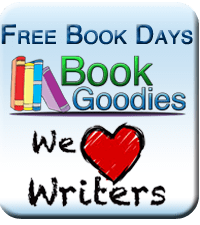 At the Awesome Indies blog, win one free ebook and one free print copy. One person who completes the “Fabulous Five”, five different ebook-winning activities, will win a paperback. In honor of my new release, The Disenchanted Pet ebook will be free on Kindle all weekend! Use coupon HEMNXLSZ at https://www.createspace.com/3657962 for $5 off the paperback. In honor of my new release, The Lustre ebook will be free with coupon WT22J at Smashwords. Use coupon 3U5B5THD at https://www.createspace.com/3811460 for $5 off the paperback.